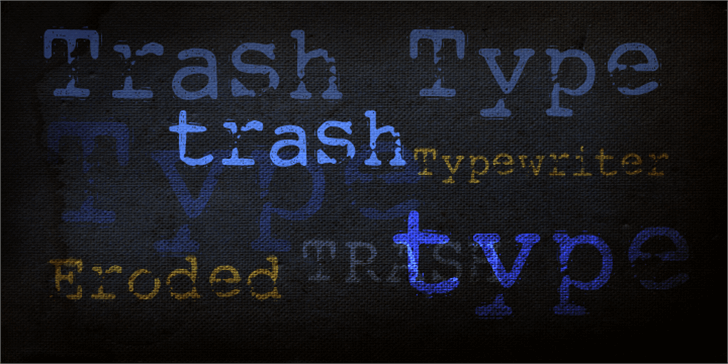 Trashtype is a courier-like font with a grunge, eroded feel to it. The whole font, including all diacritics, kerning and contextual alternates, is available. Please contact me for more info.